Regular readers of this blog (and also the more irregular/infrequent of you) may have already picked up that I really don’t know that much about music-making. I only write as an avid and attentive listener. As such, any advice or opinion I give regarding what a band should be doing better should clearly be seen as speculative and ill-informed at best. I say all this because yesterday I was pretty convinced that GBV were hampered by the low and borderline obstructive production quality on the album in question. Well, on this one they got all disciplined and almost slick. The production values hit passable levels, and thus we are left to scrutinise the band in a less distracted way. Unfortunately, they seem to have traded off some spontaneity and creativity along the way. Among the 24 tracks (yeah, they’re still prolific) there aren’t as many pearls (unpolished or otherwise). The borderline Beatlesque qualities of the previous release are lost as the band comes across as some very, very reserved REM–Buffalo Tom-Flying Nun hybrid, but without a big, ear-catching track to keep me coming back. I went through a ‘lo-fi’ phase in the mid-late-1990s. I was seduced by the awkwardness and deliberate difficulty of it all. Thus I have an excess of albums from Superchunk, Sebadoh and these guys. Not wanting to prejudice those “S” reviews in a couple of years time, those blokes were a little less difficult than this collection from GBV. I’ve seen GBV referred to as ‘anti-rock’. I presume that refers to their unwillingness to conform with the expectations of record labels, listeners etc. For example, here we get 28 tracks, most under 2 mins along, most without a chorus-verse structure, many without intros or outros. Most sound like they were recorded underwater (one deliberately so) or from a long, long distance away. Tracks are overdubbed, underdubbed, haphazard and throwaway. I get the concept – let the music free, don’t conform, don’t overmassage the message. But in the end it just aint very listenable or enjoyable. It’s the musical equivalent of mumblecore – over-rated and self-indulgent. With my recent burst of review productivity this blog has managed to clear an important hurdle. 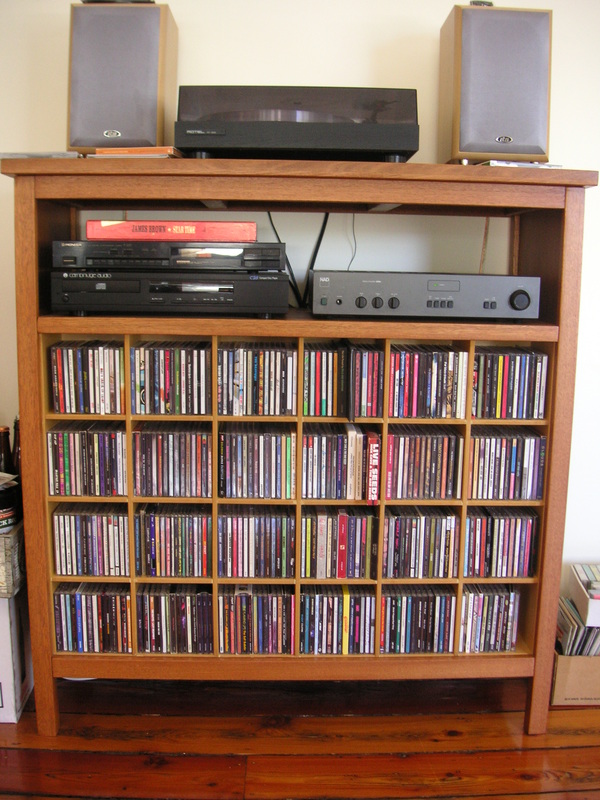 The first of my two CD racks is all done! That’s 24 of the little compartment thingies. The other rack has 55!! And there’s the vinyl as well. Here’s a CD from the wife’s collection. She clearly embraced Calif-skate punk more than I ever did. But, as I comment to her regularly, she does have good taste. 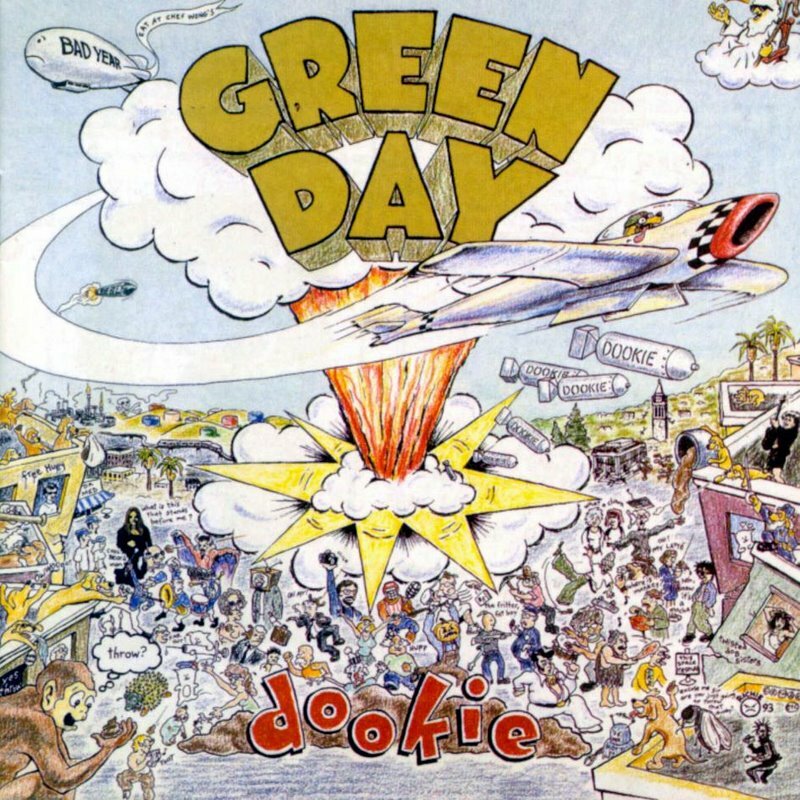 It was hard to ignore Green Day around the time of this release. They released classic single after classic single and occupied a lot of music video land. They even (eventually) ended up soundtracking a Seinfeld episode (and now have their own Broadway Musical – which is sort of a punk-ish act in its contrariness). But before all that came this explosion of an album. It is almost the Thriller of pop-punk, featuring as it does five big hit singles. The highs on this album are mountainous. The rest pales considerably. When Billy isn’t spitting lyrics, it’s all pretty straightforward guitar power-pop of the sort The Young Fresh Fellows played to much less fanfare. You have to respect the single-minded artist. This greatest hits collection from one the megastars of the soul music scene showcases twenty tracks, each and every one of them concerned with the topic of love. Getting distracted by food, civil rights, cars or even euphemisms is not for Mr. Al Green. He’s focussed on your love, her love, lost love, the next love and being loved. And love invokes squeals, “yeahs”, guttural purrs and many, many high notes. We have stumbled into rutting season and he is the man with the hugest antlers. But Al is no sleazy Barry White or Isaac Hayes. His is an angelic, wholesome Let’s Stay Together, Let’s Get Married love. After recording these he went from Mr to The Reverend. I’m not completely au fait with his gospel career, but what I’ve heard stays on the righteous side of saccharine. Yesterday I supposed that I would have been even more appreciative of the Grates’ debut if I was a decade and a half younger and thus willing and able to push myself up near the front and embrace the ecstatic vibe of it all (ok, I am paraphrasing/embellishing). Their follow-up is an album I’m sure I would have embraced with greater enthusiasm back in the day. It’s got that “more difficult” second-album thing going in. The sound is more polished, but more predictable. It ain’t nearly as poppy. It feels like the band feared becoming the Frente of their generation, and thus put away their silly hats and instead embraced the more surly Yeah Yeah Yeahs side of their personality. I’m probably being harsh here. Milk Eyes works, as does Burn Bridges. As a younger man, I would have spent more time with the album, allowing myself to be seduced by its standoffishness, delighting in my persistence and sophistication in “getting it”. I ain’t got that in me anymore, especially on a rainy day ill-suited to brash electro-rock.